With Spring quickly approaching, it’s prime time for the pre-wedding events. So why not have an an engagement party in Palm Springs? Whether you’re hosting or attending the engagement party, there are many things to consider. 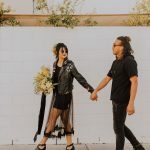 So before the Palm Springs wedding festivities and engagement parties begin let’s discuss some of the important details when preparing for the desert perfect celebration! The best part about planning for an engagement party is that you can choose to celebrate either indoor or outdoors, or both! 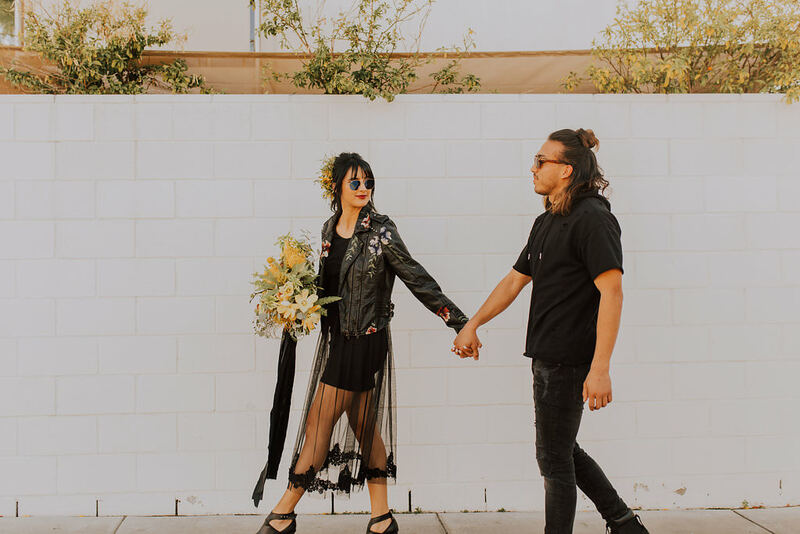 Choose a location like the O’Donnell House or the Casa de Monte Vista to create the the perfect bohemian, desert wedding vibe. Including an outdoor section to your party will provide a romantic feel and give your guests a chance to take in the natural beauty that Palm Springs has to offer. If you’re planning a bohemian-style engagement party, you can get creative with the decor. One thing that pops into my head are flowers, and lots of them. Think flower centerpieces, floral headpieces for arriving guests, garlands of all different types of flowers – the options are endless.Try mixing different types of flowers, as they will provide a beautiful mix of textures and rich earth tones. If you’re unsure of which ones would go nicely together, check out Pinterest for a variety of floral arrangement ideas. Another idea is to contact a event planner or Palm Springs florist, since they know the right flowers that can stand up to the desert heat! Another fun idea to enhance the engagement party is to rent a photo booth so you can catch wacky and candid photos of your guests! The Weather: Take into account the time of day the party takes place. I’ve found that evenings are a popular time to throw an engagement party. Bring an extra layer, such as a sweater or shawl, especially if you’re a person that tends to get chilled when the temperature drops. If you’re the happy couple: This party is to kick off your engagement and celebrate your love story! So get creative with your outfit. Your friends, family and photographer will be taking pictures of you, so make sure your outfit is comfortable and photographs well. For the bride-to-be, wear something off white with embellishments, such as this dress. Throw on a flower crown for the ultimate bohemian look. For the groom-to-be, try a bold color dress shirt, with a linen blazer and khaki colored dress pant for a dressy-casual look. If you’re the guests: You’re here to celebrate the happy couple, so why not look good too? For the ladies, I recommend a patterned jumpsuit or a bright-colored maxi dress. Add lots of layered jewelry to complete your look. As for the gentlemen, a patterned button-down shirt with a pair of earth-tone colored chinos, such as these, will radiate with bohemian/desert vibes and will look great in photos. Your attire and decor of the party will be remembered in the wedding albums, so you’ll want to make sure everything looks flawless. However, in the end, all that matters is that you’re smiling and having a good time celebrating the future married couple! If you’re looking to continue the bohemian trend for your big day, check out this post, for some added inspiration! 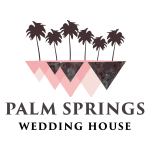 We are proud to be a exclusive member of Palm Springs Wedding House, a collection of the BEST wedding vendors in the Coachella Valley!